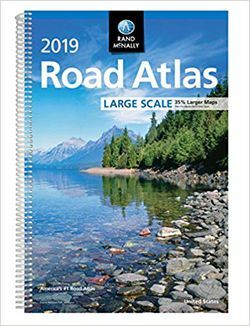 This Atlas from Rand McNally is printed with large, easy to read font. 35% larger, to be exact! Bound with a Spiral binding, it allows you to open pages to lie flat without damaging it's spine.